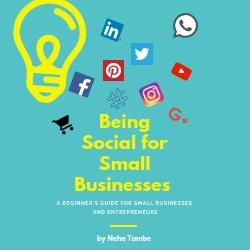 So you have a great social media page and a banging website, people come and see your website and SM channels but don’t know where to connect for queries. Or maybe they try and get in touch with you on your social media platforms only to receive a reply 2-3 days later or not receive a reply at all! Have you been there? Either with your brand or with some brand you tried interacting? Isn’t that a terrible feeling? This is where many brands miss out! They forget to nurture the leads that they get. Not every person is going to see your ad and convert at the first instance! Most of them either saw your ad or came across your website because they were researching on a topic or they had engaged with a similar brand or product earlier. It makes them a potential client, but not someone who is actively looking for what you have to offer. A direct conversion of an advertisement will be very limited. A few will actually buy, the rest will ask questions, compare with other possibilities, even bookmark it for future use. So as a business owner, what should you do? Should you assume that those who are scouting and questioning or comparing will come back? While some will, some might forget your brand name, or they might have a longer conversion cycle and when they actually make a buying decision, they might not think of you. This is where nurturing a lead becomes important. If a person visits your website, or has seen your advertisement and decided to fill in the name and email id, or connected with you on FB messenger or What’sApp. This contact detail should go in an excel! As the way a consumer might connect is not fixed, nor are the databases common, the good old excel comes in handy. Now instead of waiting for them to connect with you, you can create customized options for them, depending on where they are in the sales funnel. You could offer them a flash sale, or a pro-tip. There could be a Q n A session or you could give a freebie. Depending on your offering, make it worth his while to interact with your brand. There are various ways of nurturing a lead, but the simplest of them is Email marketing. Email marketing is something that one can do and will work for all kinds of business. As the email database is available with you, connect with your audience to understand what they expect from you. There could be some who like the knowledge that you share and there will be some who wish to utilize the product or services. Instead of bombarding each one with every mail, target the mails as per the users need. Drip marketing with a targeted audience works well. Facebook messages are another way where your potential clients will try and connect with you. As these messages land in your inbox. You can collect basic contact information and file it in your master excel. As this is direct, whenever you run an ad in future, you can get it to your potential client’s inbox. Apart from this, you can send them invites to an event, or offer a FB only deal. Offer a blog post and share some Free course or a free webinar. These will help your potential customer know you better and make an informed decision. They can communicate with you via email, subscribe to your future updates or even buy into a paid module based on their experience of the earlier training session. Instagram messages too work in a similar fashion as Facebook, however as you cannot segregate it in the inbox, you will have to put in extra efforts to stay connected on Instagram. Another way is to nudge them towards email marketing for future updates. If you have an app, then you can even trigger app specific deals and offers to get your customers to buy into your product or service. You could push time sensitive deals or some flash sales. The app could also update the customer about latest updates, changes or tips. The customer who is sharing his details to stay updated is not signing up for spam. Either offer something of value, or do not offer anything at all. Know that a client would appreciate a follow-up but would never approve of bombarding his inbox with promotions. Announcing what the client can expect and the frequency of it is a great way to avoid being unsubscribed, even before you can showcase your offering. See if you can tell your story and connect with your audience. More often than not, customer relates to the person and not an unknown entity. They would connect more with your personal story, your struggles and personal views. Let them know that they can connect with you on your email or mobile. Offer ways to connect with you for further queries and be responsive on those platforms. Lead nurturing cannot happen in isolation and it is not immune to various platforms. As advertisements and retargeting can follow a customer’s behavior, it is essential to understand his path and conversion cycle and not just focus on one channel. Here are a few ways that you can nurture a lead and get some great results. Have you tried some other ways to nurture a lead? Do share your suggestions and updates. 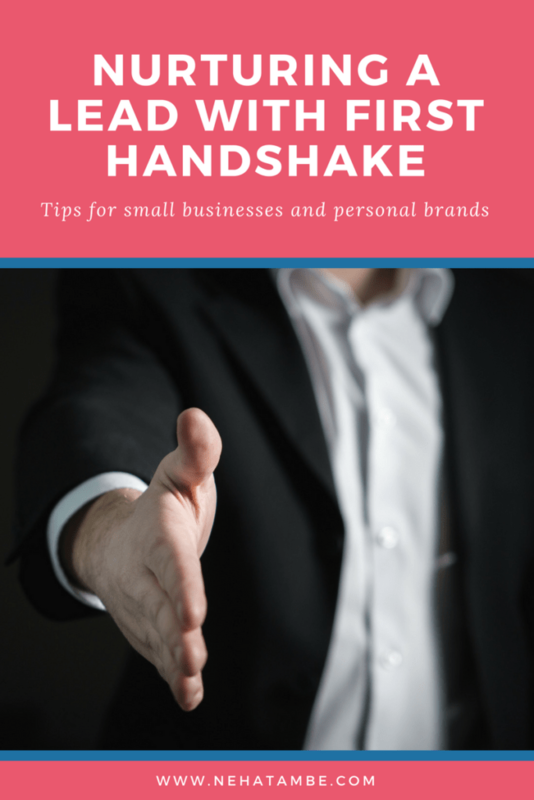 How do you stay connected with a client after he has checked out your website or connected on social channel?